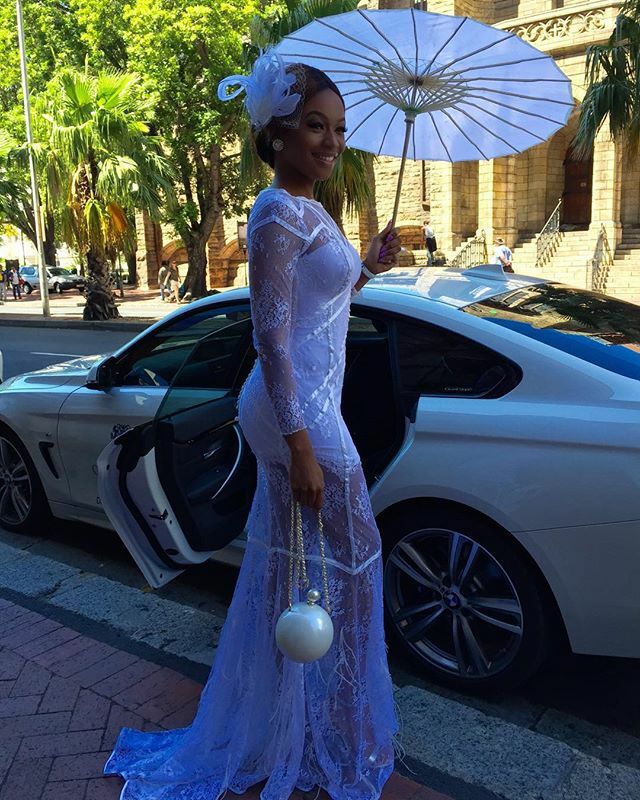 Matheba Bonang In Lovely White Sheer Dress. Matheba Bonang's look is absolutely gorgeous, she wore this amazing white sheer dress for the 155th running of the L'Ormarins Queens Plate. She shared the lovey pics on Instagram some minutes ago, see it after the cut..